At a recent road race I was genuinely amazed when a fellow cyclist confessed that she didn’t know what to eat before a bike race to fuel her efforts, neither beforehand nor during the event itself. It seemed a real shame that hadn’t manage to find out about race day nutrition and what’s best to eat for bike racing. I felt really bad for her – improper fueling can have a far more detrimental affect on your performance than neglecting to train hard enough, not just impairing your performance but potentially ending it. I briefly advised her on how I deal with fuelling during a race as we were about to head to the start line. I really hoped that she’d at least eaten enough breakfast. It’s not the first time that this has happened – at a previous race I’d given gels to another rider who’d turned up without anything at all to take in her pocket. It just seems a bit mad that you’d bust a gut training all year then disregard something as simple but important as food. So with that in mind, I thought I’d write a blog about race day nutrition with a guide to what kind of food to eat, how much to take with you and when you should be eating specific foods. Obviously not all races are made equal and therefore what you need to eat both before and during the race varies according to the length and intensity of your event. A short, sharp criterium (usually an hour or less) will require quick carbs whereas some fats can be beneficial in a longer race. Another factor is time of day – an early start may mean a different strategy to say, an evening criterium. In order to perform to the max of your ability you need a good nutritional foundation, which you can then build upon. What you eat the night before is important – aim for a good mix of carbs, a small amount of fat, some protein and micronutrients (vegetables), drink plenty of fluids and avoid alcohol and salt as these will dehydrate you. The day of your race, aim to eat a decent meal at least three hours before your race (even if it means getting up early) ensuring you choose something relatively simple that your stomach is used to. 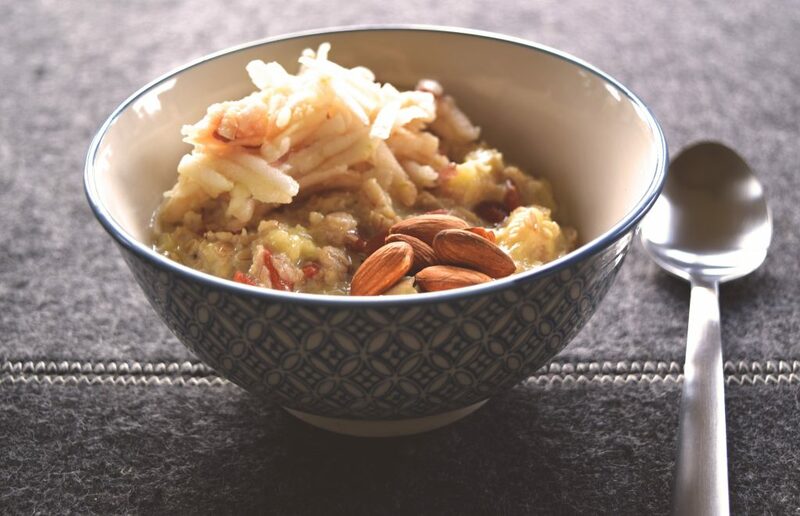 An ideal breakfast would be porridge with fruit, nuts and seeds, plus some additional protein in the form of eggs, dairy-free yoghurt or nut butter. I like to chop up a TRIBE Bogoya Banana protein bar and sprinkle it over my oats then add dollop of almond butter. Be sure to drink plenty of water. I prefer to avoid caffeine until right before my race, firstly because it’s dehydrating but also because my strategy of only using it for races ensures that I get a proper caffeine boost. I like to have a small carb based snack about an hour before my race to ensure my carbohydrate stores are topped up and that I don’t get hungry in the race. It’s of utmost importance that you choose something that is easy to digest, particularly if you have butterflies in your stomach – energy bars or bananas are ideal. Sipping an electrolyte drink can be beneficial. As I mentioned before, what you eat and when really depends on the kind of race that you’re doing. As some criterium (circuit races) can be as short as 40 minutes in duration there’s certainly an argument that you don’t really need any additional nutrition during the event. However, I’d counter that by saying whilst it’s true that wouldn’t need to eat during a 40-minute ride, a 40-minute flat out effort can be totally different. Consuming a gel halfway through the race can be a physiological boost, if nothing else, so I always put one in my pocket just in case. 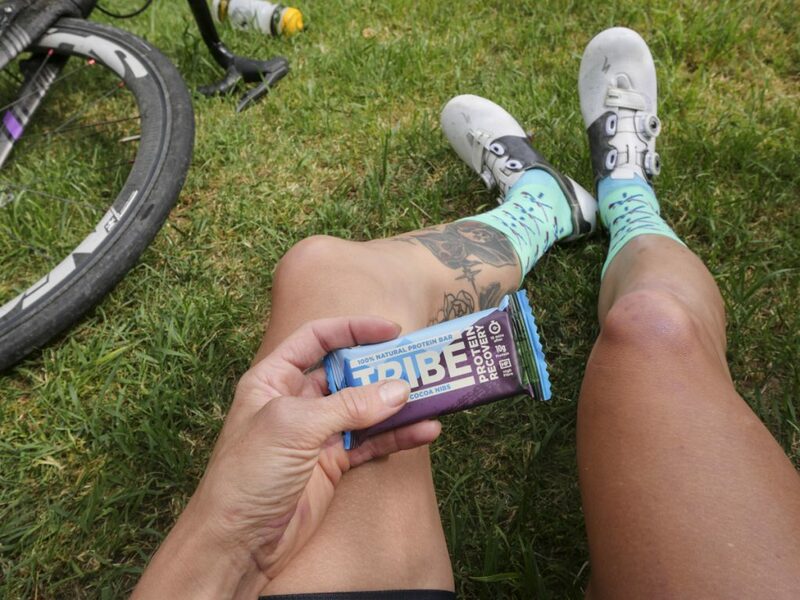 I use electrolytes in my water bottle – a mix such as Tribe’s Hydrate actually rehydrates you more effectively than water alone. Amateur road races are frequently around 2 or 3 hours long so a different fuelling strategy is required during the race. As a very rough rule of thumb we can use about 1 gram of carbs per kilo of bodyweight per hour, though in practice in can be hard to take on board very much if the race is very intense. 1 x portion of gel blocks. Like with any cycling event, it’s really important that you lay the foundation for success by eating well in the 48 hours before your event and consuming a decent breakfast. And during the event itself, when it comes to replenishing the carbs you burn as fuel, the same rule of thumb applies as it does in any other kind of race – you’ll need roughly 1 gram of carbs per kilo of bodyweight per hour. However, endurance cyclists can generally benefit from eating a slightly different selection of foods to that used for shorter, higher intensity races. In longer races, it’s best to eat a balance of carbs as well as a small amount of fat and protein rather than to rely too heavily on just simple sugars in the form of gels. 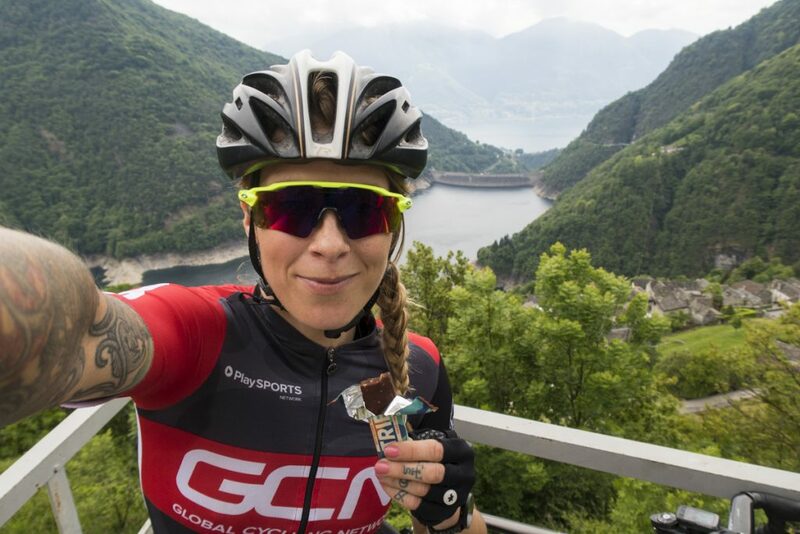 When I compete in endurance mountain bike events, I like to fuel using solid foods such as Tribe bars or peanut butter and jam sandwiches for the first half of the race, saving gels and gel blocks for later on in the event. Having a carbohydrate-based energy drink is helpful too. 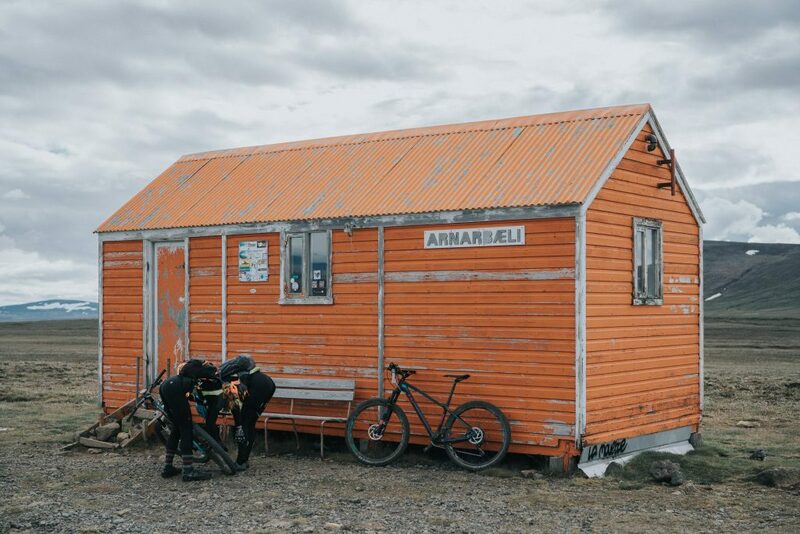 Read more about the epic mountain bike stage race I competed in last year in Iceland. Make sure you practice eating gels whilst riding before your race so that you feel comfortable doing it. Always make sure it’s safe to take one hand of your bars to take your gel/bar. It’s best to go to the outside edge of a peleton. The best food for endurance racing/events is often the food you are most able to stomach. Always try out nutrition products before the race to make sure they don’t upset your stomach. I am a proud Tribe ambassador. My opinions, as always, are my own and I recommend Tribe products because I like them. That’s very interesting. Mostly I do this already except I don’t eat gels much in training because they are expensive. I don’t eat 3x things an hour either but I will try increasing my intake to see how it goes.